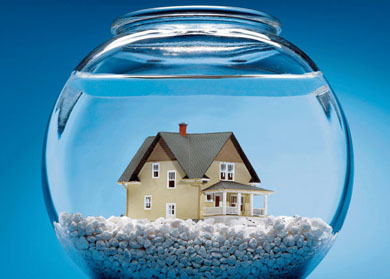 Underwater On Your Mortgage Loan in Wisconsin? If you are a Wisconsin home owner that is underwater on your existing conforming or conventional mortgage, you may be eligible for a refinance without paying down ANY principle, without paying mortgage insurance, and in many cases, without spending any money out-of-pocket. HARP, the acronym for Home Affordable Refinance Program, is a financial aid program announced by the US federal government in 2009 to help millions of homeowners who are either near-underwater or underwater (means you have zero - or even negative - equity in your home) to refinance into a fixed loan with lower monthly payments. The modified HARP program - HARP 2.0, also referred to as The Making Home Affordable Program, the DU Refi Plus Program, and/or the Obama Refi Program - is specifically targeted towards Wisconsin homeowners having a loan-to-value ratio less than 125 percent. However, an additional guideline change to HARP 2.0 actually lifted the loan-to-value restrictions. So, Wisconsin borrowers with a loan-to-value ratio even greater than 125 percent can now apply to this program. HARP 2.0 gives Wisconsin homeowners the ability to refinance at today's low mortgage rates without private mortgage insurance, exorbitant closing costs and fees, and in most cases without an appraisal. If you have been turned down before for this program, you will certainly want to re-apply for HARP 2.0. 2. Freddie or Fannie should have bought your mortgage prior to June 1st, 2009. Unfortunately, Wisconsin homeowners rarely know who "owns" their mortgage loan. Normally, homeowners receive their monthly statements, and make their monthly payments, to their mortgage servicer. This is usually not the company that provided the funds originally to make the loan. You can check "lookup" forms on the Fannie Mae and Freddie Mac web sites. However, keep in mind that these web forms are not always accurate as the address would have to be exactly the same as was recorded with Fannie or Freddie. USDA, FHA or Jumbo mortgages are NOT HARP-eligible. Elimination of underwater limits which implies that Wisconsin borrowers now have the opportunity to refinance regardless of the fallen values of their homes, whereas loan-to-value limits were previously prefixed at 125 percent. Underwriting and appraisals have been eliminated and homeowners need neither appraisals nor their loans underwritten. This makes the refinancing process much faster and smoother. Fees have been modified for shorter-term loans or abolished and the deadline for getting a HARP refinance has now been stretched to September 30th, 2020. Step 4: Meet with Kim Greenspan to go over the final numbers, closing date, etc. If you have any questions or concerns, please don't hesitate to call my office at 262-650-9890 or email me at Kim@WeSayOk.Com . I am here for you! 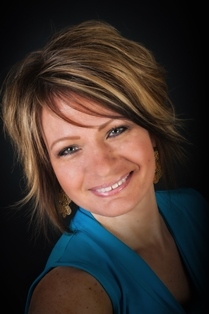 Contact Kim Greenspan, your Wisconsin HARP Refinancing Expert, to setup a free consultation to determine if you are eligible for the HARP program. I will be honored to work with you! web site and is not a government agency.